It was more than 10 years ago that local herders had spotted some pugmarks and seen faeces of the animal. They claimed it to belong to a snow leopard but without visual sighting it was hard to confirm. Finally a camera placed in the Malari region of Uttarakhand captured the image of the adult snow leopard. 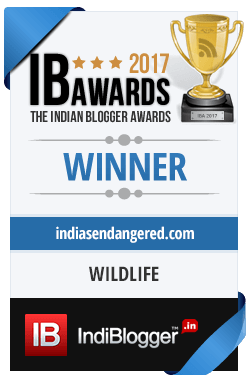 “We suspected it was here, now we know for sure,” said Sambandam Sathyakumar, a senior scientist specialising in endangered species management at the Wildlife Institute of India, Dehra Dun. It was his idea to install the cameras in the likely trails of snow leopards and other animals roaming in the forest. Since December last year the camera has successfully captured images of common leopards, blue sheep, musk deer, foxes and a Himalayan pheasant — and then, on April 10, a snow leopard. The Snow Leopard Trust, a US-based conservation agency, estimates that India has between 200 and 600 snow leopards scattered across Jammu and Kashmir’s snowy mountain region, Himachal Pradesh, Uttarakhand’s Himalayan region, Sikkim and Arunachal Pradesh. The snow leopard in a very shy animal and scientist believe that there may be more snow leopards in the area. The last spotting of the animal in India was recorded to be made in April 2009. 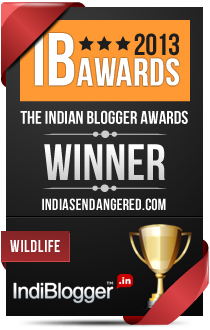 World Wildlife Fund researcher Aiswariya Maheshwari was the lucky one to sight it. The declining number of the animal might have been due to troubles in Kashmir and also the reduced number of wild goats, but now the Uttarakhand government is eager to make amends and revitalise its conservation efforts. “The Uttarakhand government now plans an elaborate protection and management of habitat for the snow leopard in the high Himalayan regions of Uttarakhand to safeguard the feline. The state will try and estimate the population with cameras,” said Shrikand Chandola, chief conservator of forests in the state.